Let's get personal and talk toilet paper! This is probably one of the easiest and cheapest crafts ever! I used a sheet of toilet paper (um, we all use and have this), white glue, and water to form jewelry beads. Let dry and then use a nail or drill to make a hole, paint, polish and/or use utee to decorate! 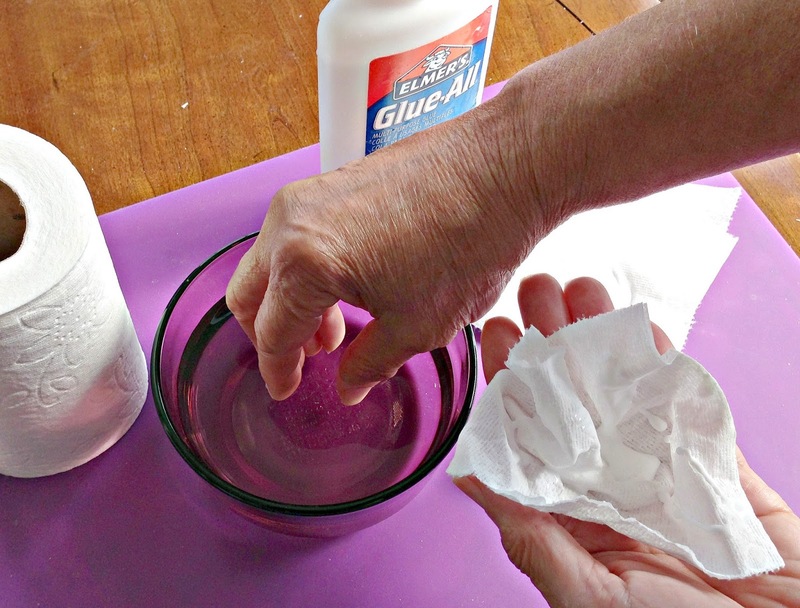 cup it in the palm of your hand, squeeze some white glue in the center and crumble it together. 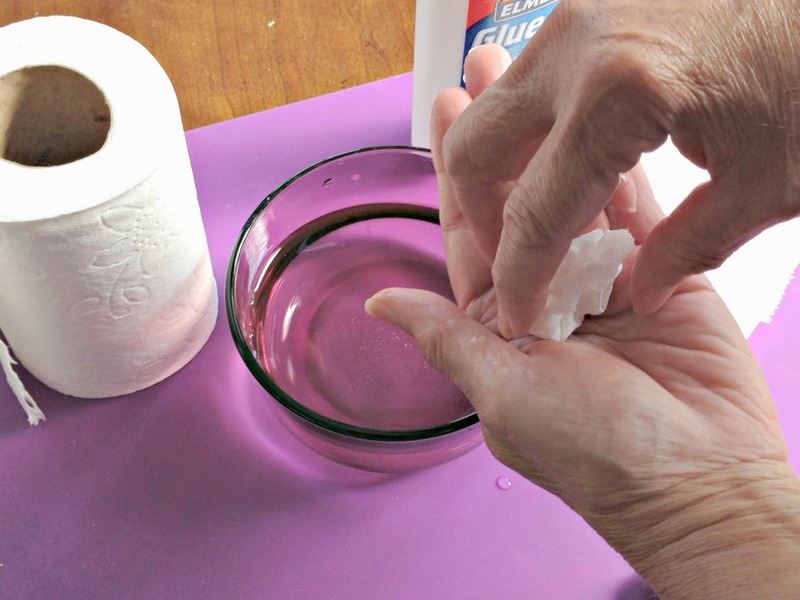 Wet you fingers with a bit of water and dampen the toilet paper and glue, squashing and swirling it between your palms . . . . around, and around, shaping it into a ball. Imagine making meat balls . . .
For larger beads, place the ball on another sheet of tp, add glue and dampen the tissue as before, and shape into a ball. 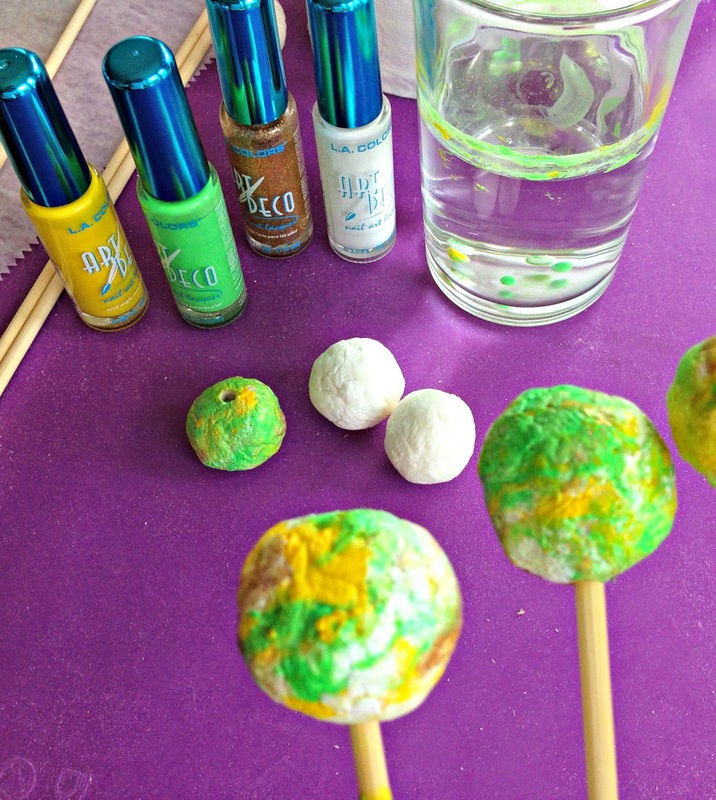 Keep adding additional sheets, glue and water for larger balls. If it gets a bit sticky, add a little water to continue rolling. Place on parchment paper after reaching desired size bead and let dry overnight or if you'll impatient, use a blow dryer or place in a 250 degree oven for a while, til dry. You'll find it hard, hard, hard after completely drying! Use a drill or nail to make holes in the beads. Now here's the fun part . . . decorating the tp beads! 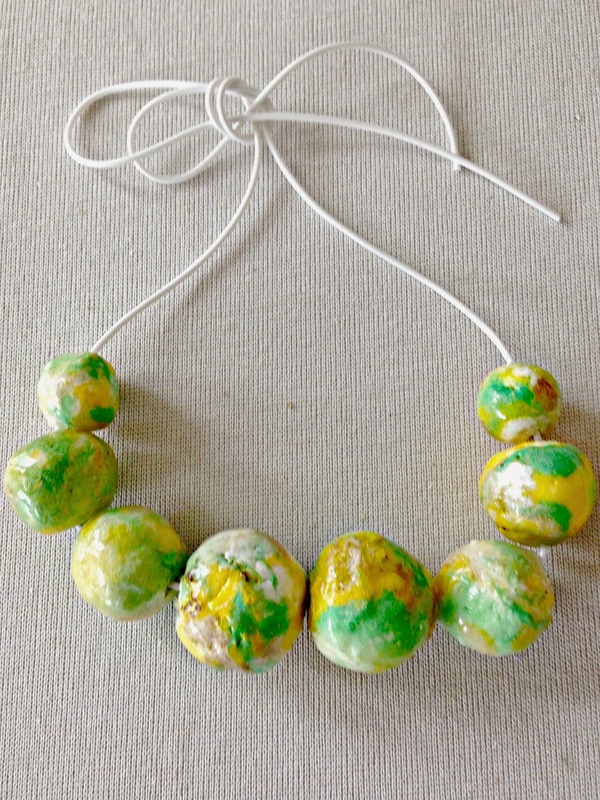 have you ever heard of nail polish marble dipped beads? Take a bead and put a skewer through the holes on the beads you made. Using a glass (the nail polish might make holes in a plastic cup) of water, put 4-6 drops of each color of nail polish you like. The polish will float to the top. Immediately dip the bead skewer into the floating polish and take it out quickly. 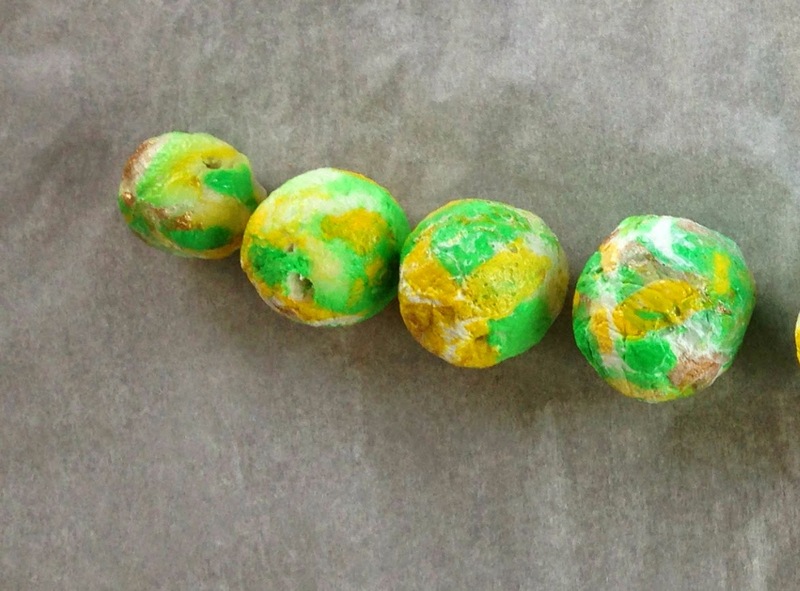 The amazing result is a pretty marbled bead. If you need more coverage, dip the bead again after adding more nail polish drops. If you wait too long to dip, the polish will get filmy and harden while floating on the water. And you don't want this. After dipping, you can take a skewer and scoop the left over scaly polish out of the water and use the water, again and again. 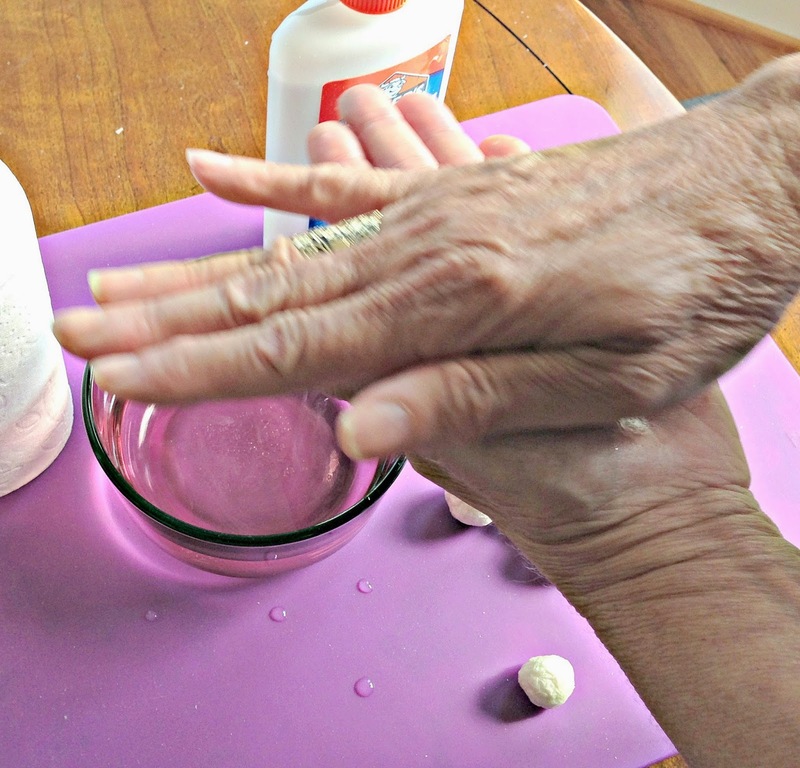 After marbleizing the beads, let them dry completely. Isn't this another fun way to recycle or upcycle? Oh, and you can try another decorating method, too, if you want! To take your tp marbleizing bead to a whole new level of shine, try dunking it in some ultra thick embossing enamel or utee for a glassy or ceramic look! How cool is this! Just place the bead on a skewer. Then roll it across a clear embossing inkpad to dampen. Quickly roll the bead in utee. 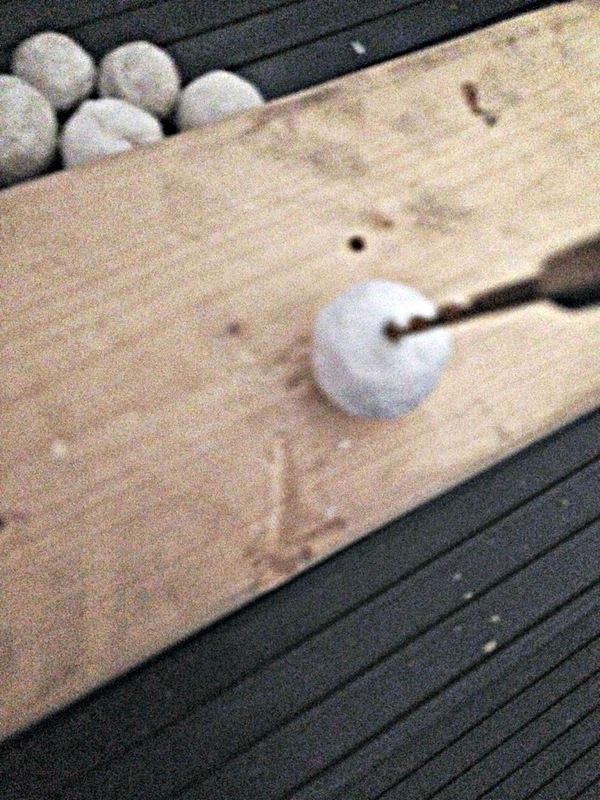 When the bead is covered with powder, use a heat gun and roll the bead around so that the utee melts evenly. While the melted utee is still hot, dip the bead back into the dry powder for a second or third coverage coat and melt again using the heating tool, making sure the utee coverage is even. It doesn't take long for the utee to cool off and look amazing with all the colors flowing together. String on a simple ribbon or cord and WOW! Each bead is a unique organic looking creation. Kinda wonky, I think! What better way than to make something so beautiful to wear or give as a gift and costs nearly nothing to make. I love them! I can't believe you made those out of toliet paper...how cool is that! Thanks for the tutorial. I might have to give those a try one day. Until then I am just going to enjoy yours! 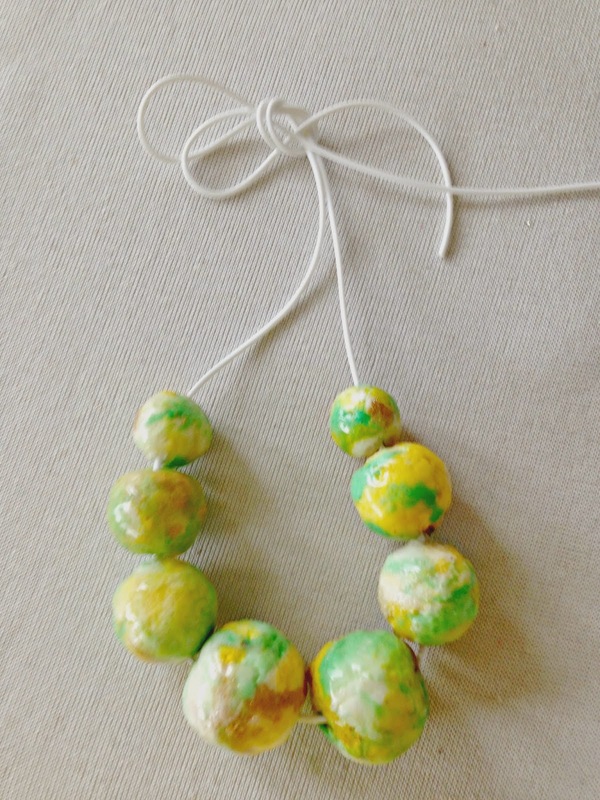 I have used TP and glue to make a paper clay, but never tried the beads. I do have a question. You will be amazed that I, the collector of all craft supplies, have not heard of utee. What is it? Thanks for that marbleizing technique. wow this is too cool! I love the idea of making my own wonky toilet paper bead jewelry! Wow Gail! You creations always amaze me. I would never have thought of making beads out of toilet paper. I like that they're wonky because they look like what they are... beautifully handmade. OMG toilet paper! That is crazy! I never would have guessed it! Very cool! I would love to have you link it up to my Feature Friday Link Palooza! Wow Gail!! This is really amazing!!! I love your gorgeous necklace, it's so unique! You are so talented! Thanks for sharing! Gail I need to move next door to you, I swear you're a genius!!! 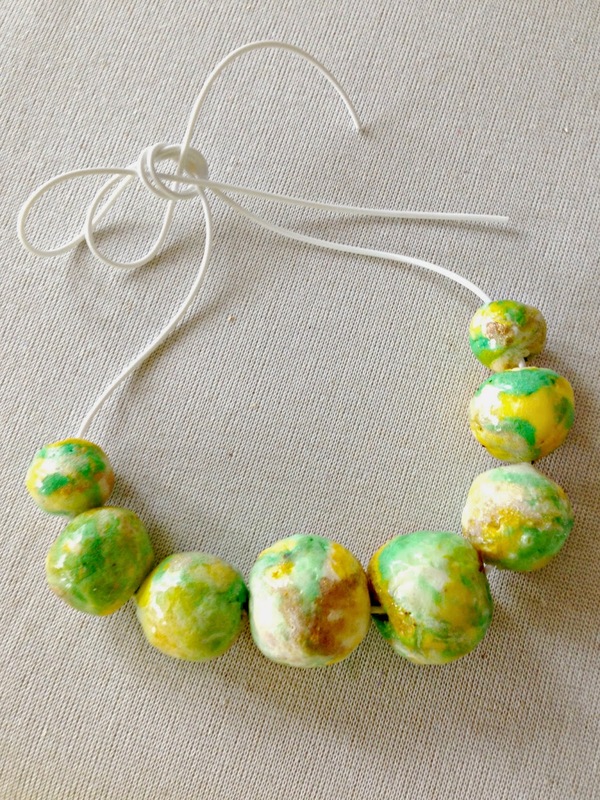 I am making these this week, I have been looking for large beads for my 4 year old to use and they're very expensive, you have just solved my problem practically for free!!! What a great tip! Hello, my name is Misty, from The LadyPrefers2Save at http://theladypreferstosave.com, and I'm one of the new co-hosts for the Merry Monday Linky Party! Thanks for linking up at the Merry Monday's Linky Party this week. Have an awesome week! Wow! Just fabulous! You are so very creative, Gail! This is such a great project with so many different applications, I saw your post over at A Stroll Thru LIfe's blog party. Thanks for sharing that project with us! well, this is just amazing! I have never seen these before...how fun!! I'm with Mel...i want to be your neighbor! This is so unique! Thank you for linking up with us at Home Matters. Please come back Wednesday and share more of your creativity with us! Pinned it!